Apple last year sued an aftermarket repair shop in Norway, accusing the owner, Henrik Huseby of infringing on Apple's trademarks by using non-genuine aftermarket repair parts. Details on the lawsuit were shared today by Motherboard, a site that has been covering "Right to Repair" efforts in the United States. Huseby had ordered the screens, which were "refurbished screens assembled by a third party" from Hong Kong. 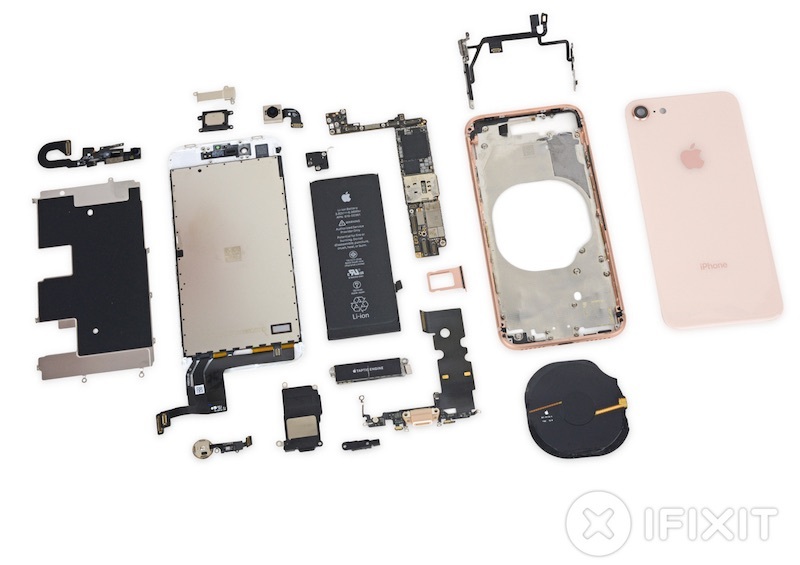 The displays were refurbished using genuine broken iPhone components. Apple wanted Huseby to destroy the counterfeit displays, pay a fine of about $3566, and sign an agreement not to manufacture, import, sell, or otherwise "deal with any products that infringe Apple's trademarks." Huseby decided he would not sign Apple's settlement, instead deciding to fight it, leading Apple to sue him. "It is not obvious to the court what trademark function justifies Apple's choice of imprinting the Apple logo on so many internal components," the court wrote. "Huseby is largely dependent on being able to import screens with covered up Apple logos to be able to operate in the market as a non-authorized iPhone repair technician." "They threw all kinds of claims against me and told me the laws and acted so friendly and just wanted me to sign the letter so it would all be over," Huseby told Motherboard. I had a good lawyer that completely understood the problem, did good research, and read the law correctly." It's no surprise that Apple does not want its iPhones and other devices repaired with counterfeit and inauthentic parts because it can lead to a whole slew of problems, and in fact, damage caused by such repairs can void a device's warranty. Some repair shops don't want to pay Apple's fees or submit to Apple's restrictions to become an Apple Authorized Service Provider, however, which is the only way to receive genuine replacement parts. This dispute between Apple and independent repair shops is at the heart of the "Right to Repair" legislation that Apple is lobbying against in several states. Apple may also be disabling certain iPhone features after repairs are done by aftermarket shops, even when using genuine parts. Earlier this week, a report suggested iPhone X, iPhone 8, and iPhone 8 Plus display repairs disable the ambient light sensor on the devices, preventing the device's auto brightness features from working. It's still not clear if this is a bug or intentional, as Apple has not commented. Norway is an outstanding country who will not let fat corps like the fruit oppress any consumer's right to choose whether to repair or not or where to repair, their purchased devices. While in America some admire the fruit's "work ethics", some other countries stand by their people. Anyone who gets their device repaired unofficially is taking the risk of damaging their phone. That’s their choice. If they go to a shoddy guy to save a few bucks then that’s their fault. Obviously their phone is already damaged, so I’d say nothing to lose. Props to this guy. Apple wants to control your wallet even after your buy the iPhone. The replacement displays don't have Apple logos. No wonder Apple lost this lawsuit. Enough with the scare tactics. Yes, we know if we choose to use "unofficial" or non-OEM parts, it could mean the devastation of planet Earth. Let us do that. Bit hypocritical of Apple trying to sue an independent repair shop in Norway for importing refurb parts when Apple doesn't even have an official store in the country. With every fiscal year Apple becomes more and more people unfriendly. Wow this news article sounds like I’m reading about nazi police. You can’t add a primary factor to this list, that Apple loses money? Nobody will accuse you (MR) of being an anti-Apple site if you just try a little harder to be neutral news source. Edit: I mean that if you choose to repair elsewhere than Apple and you go to someone shoddy that’s your fault. Not that everyone that isn’t Apple is shoddy. Calling replacement parts "counterfeit" isn't accurate unless the part is marked/branded as an original part. For example, you can walk into an auto parts store and purchase the original part for your Lotus or Porsche or Alpine or what have you, and they may be able to provide an OEM part, and/or they may be able to provide a part which is a replacement made by a different company. It isn't "counterfeit" unless it is falsely sold/marketed/labeled/marked (??) as an OEM part. There were, for a time, a LOT of counterfeit "Apple" chargers on Amazon (hopefully that has been mostly cleared-up at this point). But it's an important distinction to make. If this shop wasn't actually using counterfeit parts, but simply using third-party replacements (and telling customers this), then what is the owner doing wrong? Apple is not making magic, tons of people are able to fix Apple's gadgets, whether the company develops practices to make it harder to repair seems to make sense when you have more money than brains, of course in a free country one should be able to support whichever they consider.